Nothing tastes better than food cooked over charcoal but many people will agree that a charcoal grill can be a lot of hassle. With the Weber Performer Platinum Charcoal Grill, you can have the convenience of a gas grill and the rich flavors of charcoal grilling. This unique charcoal grill is fast becoming the top choice for outdoor cooking, thanks to its built-in gas-fueled ignition system that gets your coal ready for cooking in a matter of minutes. The Weber Performer also comes with an array of features that make grilling much easier than ever before. 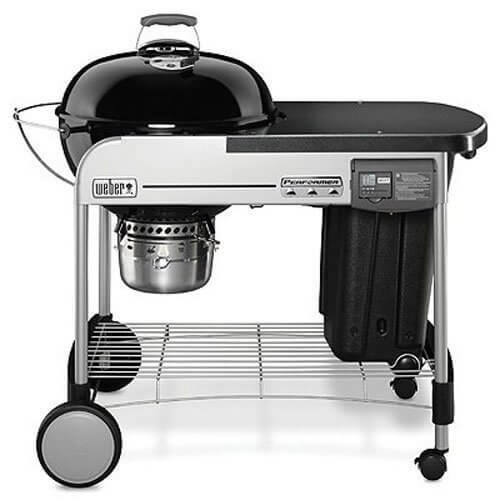 Weber charcoal grills are recognized as being some of the best grills around in terms of performance and durability. The Weber Kettle Charcoal Grill has been around for over 50 years. While it retains the kettle grill's basic design and functionality, the “One-Touch” line features a number of improvements, most notably a one-touch cleaning system. 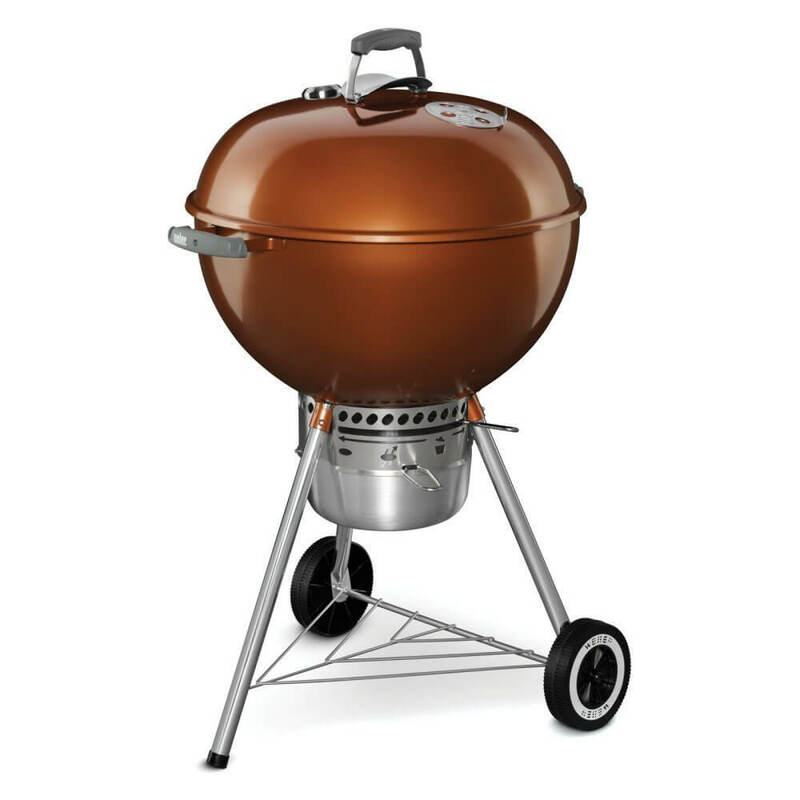 One of its premium models is the Weber One-Touch Gold Kettle Grill. 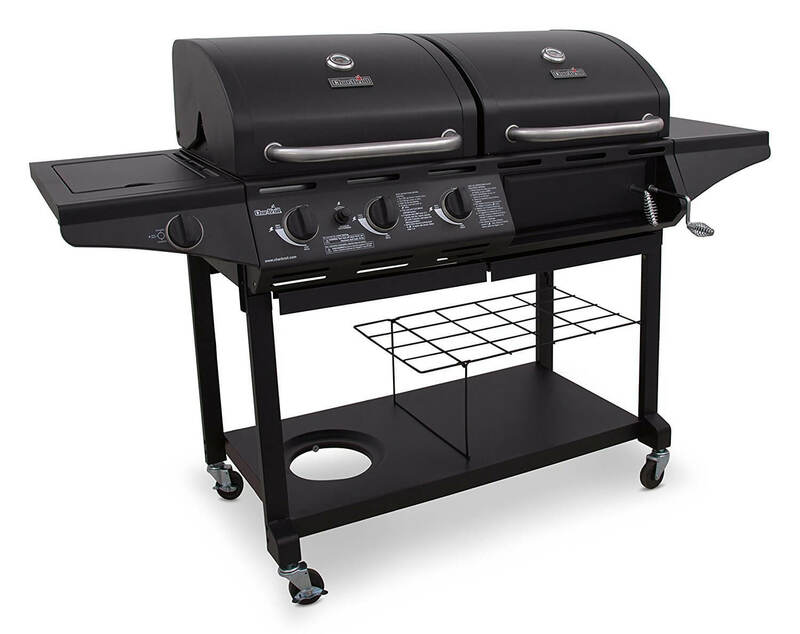 If you're looking for a sturdy grill that can handle large amounts of food and does not cost an arm and a leg, look no further than the Weber Genesis E-330 gas grill. It costs significantly less than comparable grills without sacrificing quality. 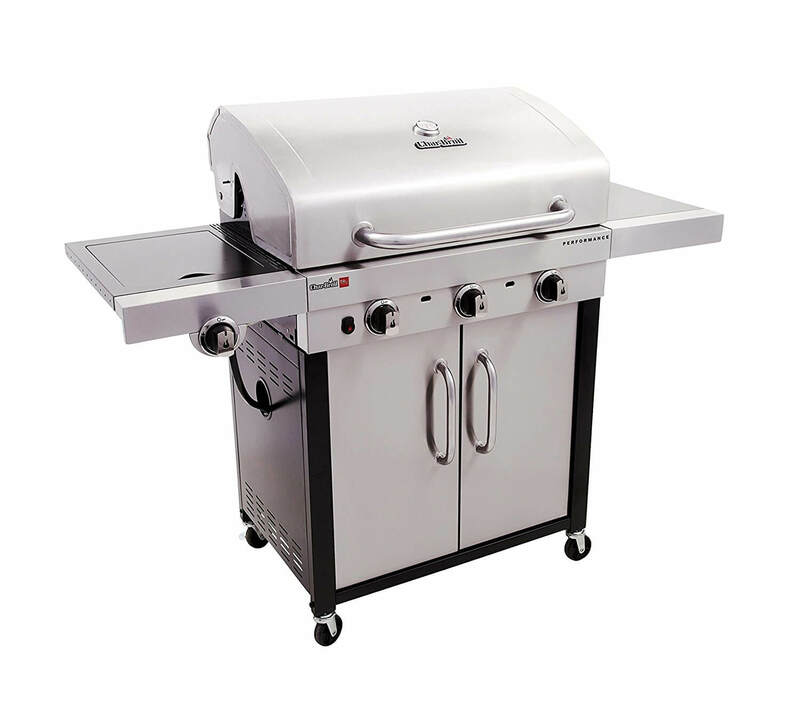 Not surprisingly, the Genesis E-330 is one of the most popular gas grills nowadays. One of the best portable gas grills on the market these days is the Cuisinart CGG-200 All-Foods Propane Gas Grill. 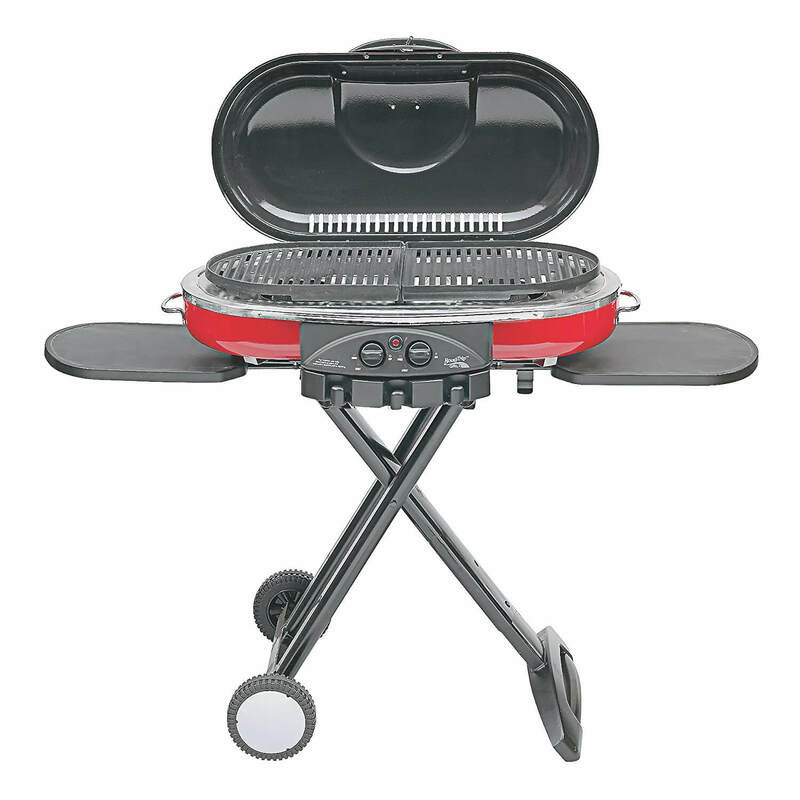 Compact and relatively small, this portable gas grill is ideal for outdoor use and fits on most tabletops. The burner delivers up to 12,000 BTU and heats up the grill within minutes. 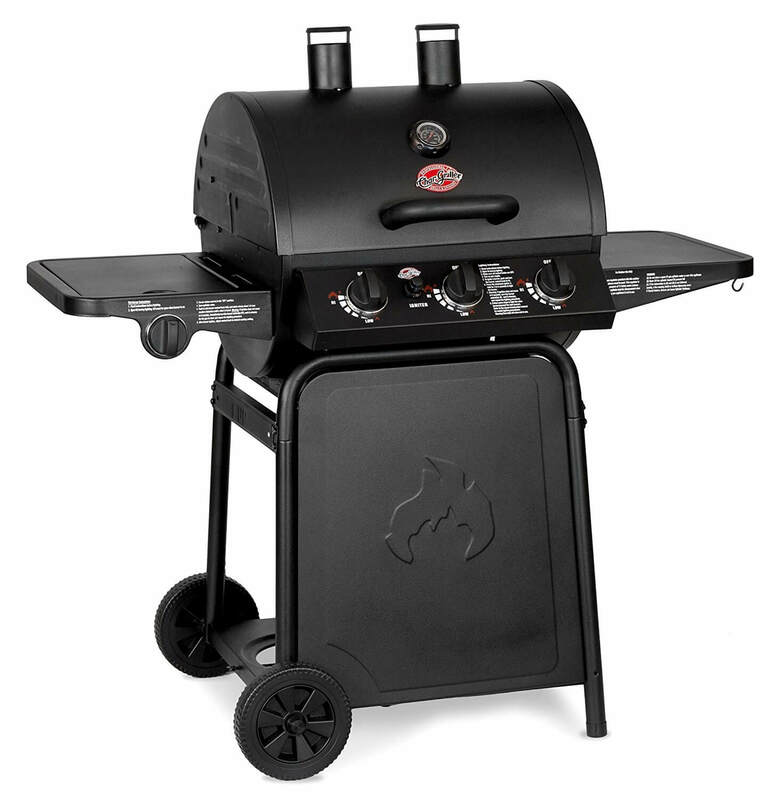 The grill features a twist-start ignition system for convenience. 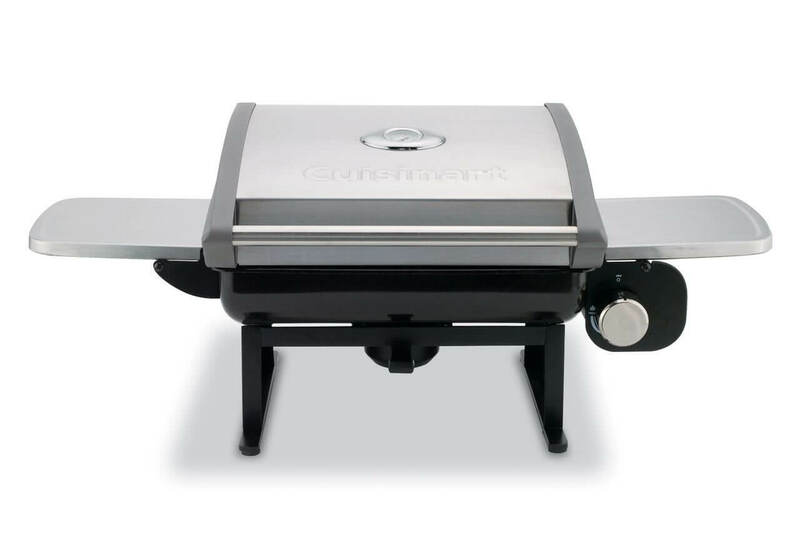 For people who like to grill on the go, the Cuisinart CGG-180 Petit Gourmet Portable Gas Grill is the perfect companion. It comes with the VersaStand, a unique telescoping base that is fully adjustable to convert your grill from tabletop use to floor stand use. The stand is integrated into the grill for convenience, and it folds up and locks into place for easy portability like a briefcase. The Coleman 9949-750 Road Trip Grill LXE is one of the most popular grills for camping, picnics, and tailgate parties. 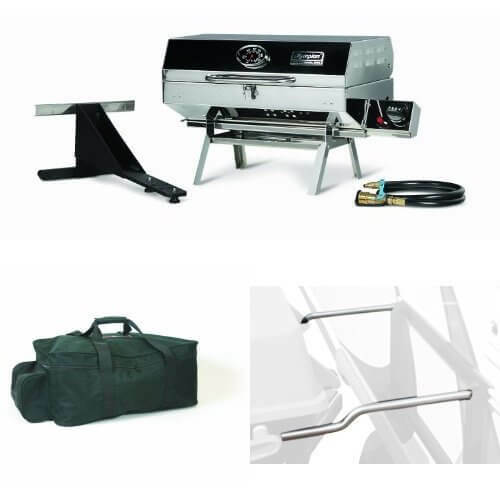 This full-size grill is collapsible and will easily fit in your trunk or truck bed. 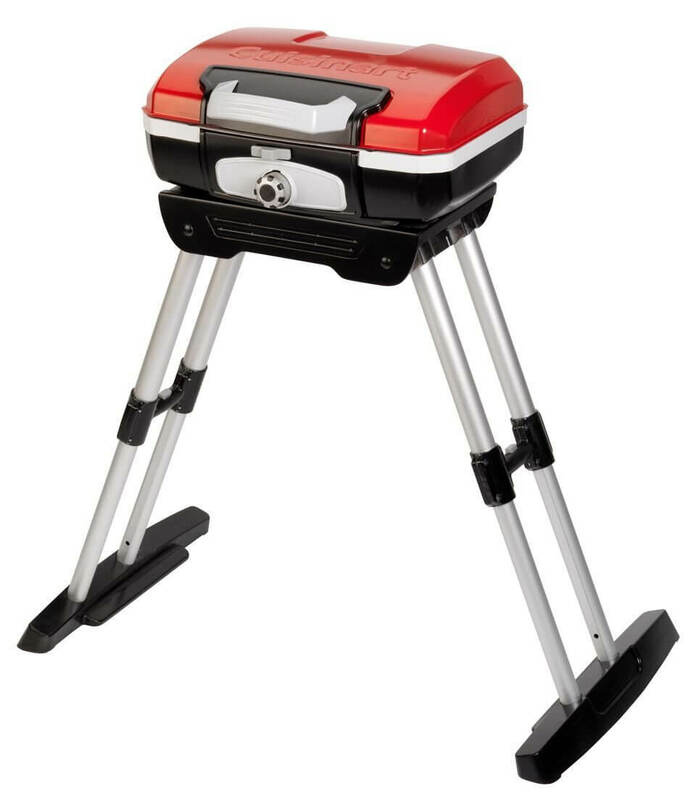 The propane-powered grill sets up in seconds and heats up quickly. Although it's designed for easy travel, the Road Trip Grill LXE provides a spacious cooking area measuring 285 square inches. The unusual egg-shaped Char-Griller Kamado Kooker may not look like your regular charcoal barbecue grill and smoker but it's getting rave reviews from a lot of users. Kamado style cooking is a traditional cooking method that uses clay ovens to help retain heat. 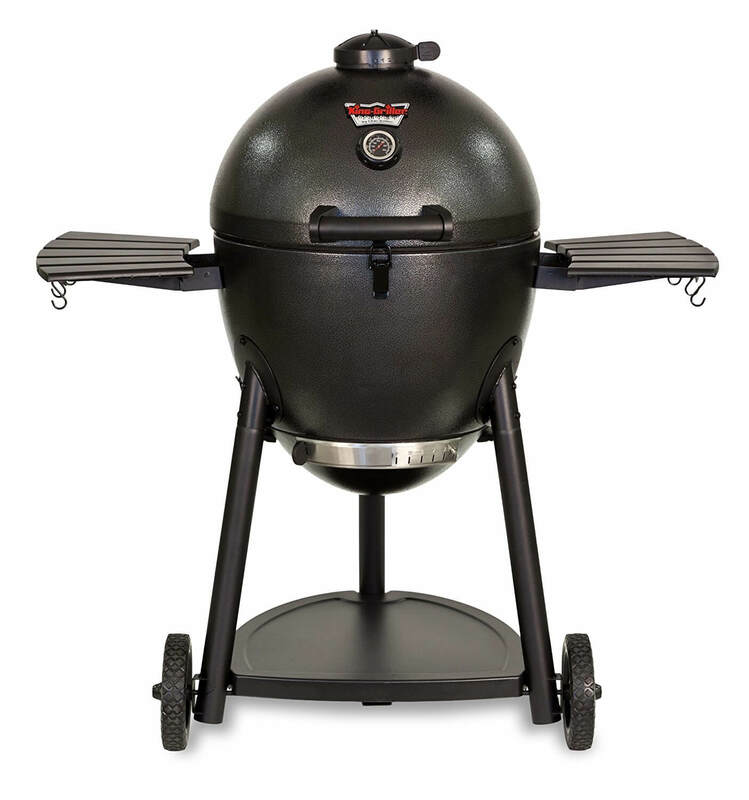 The charcoal-fueled Kamado Kooker is designed and constructed to be lighter, more durable, easier to use, and more affordable than traditional ceramic Kamados. This barbecue grill and smoker can cook burgers, hot dogs, pork, steaks, chicken, pizza and other foods to perfection. 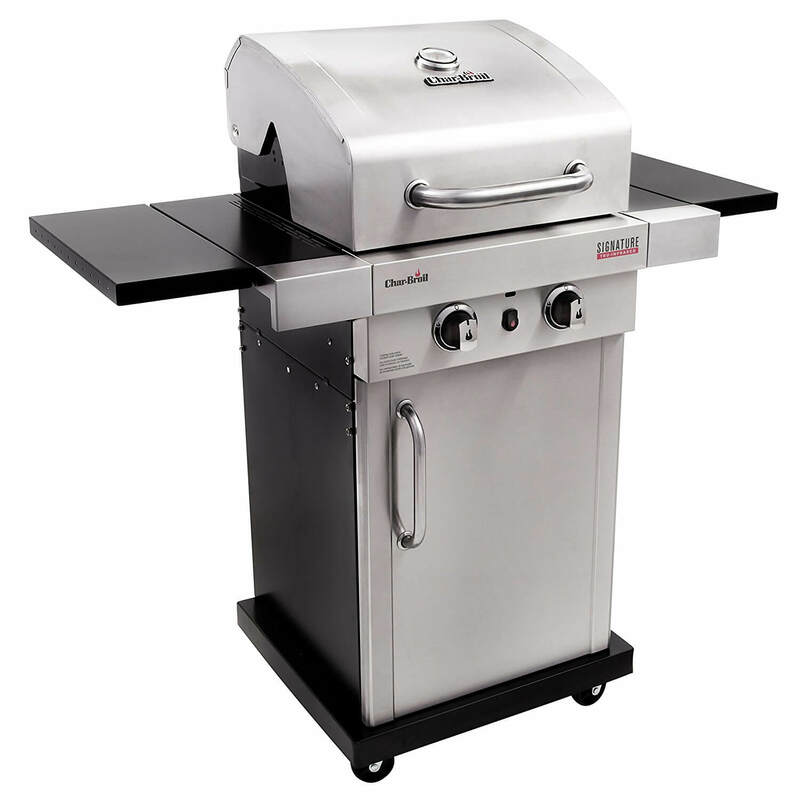 The Char-Griller 3001 Grillin' Pro is a gas grill that comes with a lot of features at a low price. Three burners, equipped with separate controls, deliver a total of 40,800 BTU for quick and even heating. The grill's unique construction allows it to hold heat and cook at high temperatures. It also comes with a side burner for heating up sauces. If you can't decide whether you should get a gas grill or a charcoal one, the Char-Broil Combination Charcoal Grill and Gas Grill is the solution to your dilemma. 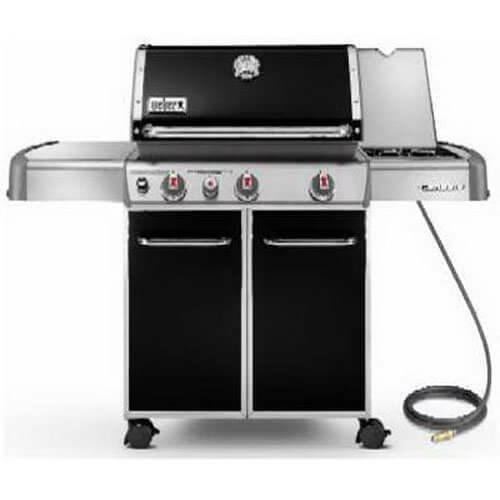 This hybrid gas and charcoal grill is a two-in-one unit with a 3-burner gas grill on one side and a charcoal grill on the other. You have the option to use either one or both at the same time.